With bold, clean cuts and inexplicably chic, feminine details the Monica Bridesmaid Dress was made for the conventional bridesmaid with a romantic twist. Designed in our Australian studio the Monica style is flattering on all silhouettes, and features a sequined floral bodice, high neckline, and full length silk chiffon skirt. 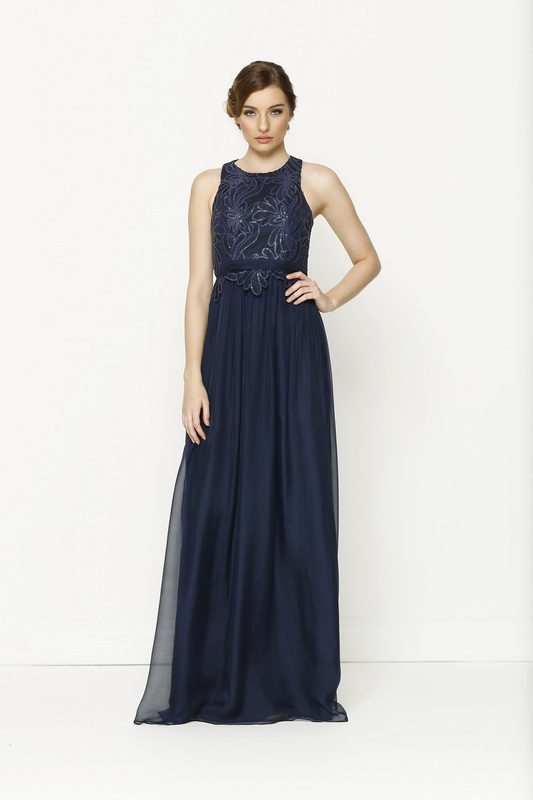 A pleated silk chiffon waist band cinches in the waist, which is complemented with scallop edge lace detailing. Wear this stunning silk dress to any formal event or evening dress occasion.